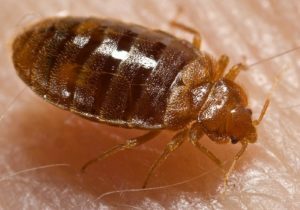 A woman, in Cincinnati, Ohio, was trying to kill bed bugs when she accidentally set a five-unit home on fire. The woman, who lived in a first-floor unit, was using alcohol to kill bed bugs. While performing her treatment, the alcohol was ignited by either a candle or burning incense. The fire quickly spread throughout the building, and flames could be seen shooting up through the roof. Firefighters had to rescue an elderly woman who could not see through the smoke. Three people were overcome with smoke inhalation and had to be hospitalized. The other 10 residents are now homeless. The building’s damage was set at $250,000. This was the second major fire in Cincinnati that was started by someone who was trying to kill bed bugs. Two weeks earlier, a 13 year-old boy was using alcohol to kill bed bugs when the mattress he was treating caught fire. That fire spread through six units before firefighters were able to contain it. One apartment was destroyed, and two others were badly damaged. The damage on this building was set at $300,000. No injuries were reported, but eight more people became homeless. Ladies and gentlemen, you’ve got to remember that alcohol is extremely flammable and it is far too dangerous to use as a pesticide. Alcohol + Bed Bugs = Fire Danger! But wait, there’s more: Another home, in Gaston County, North Carolina, burned down on September 29th. They had just treated a room in their house with rubbing alcohol, before it caught on fire. Don’t try this at home!